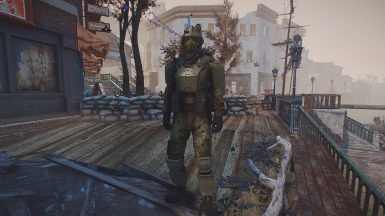 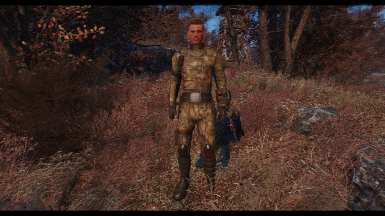 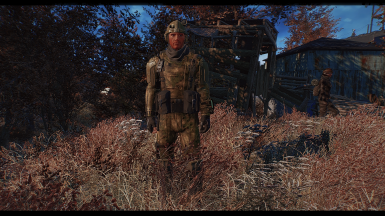 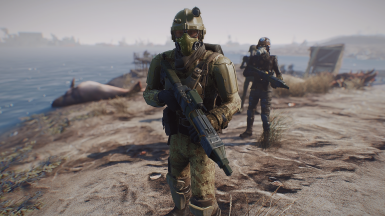 Several camouflage retextures and modification of the Enclave Officer's Uniform to make it the standard issue Enclave Combat Uniform. 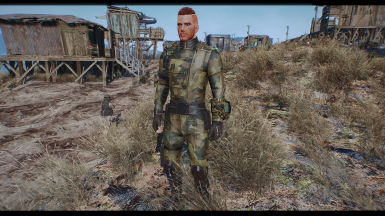 Thank you PQuinn, without your work this wouldn't have been possible. 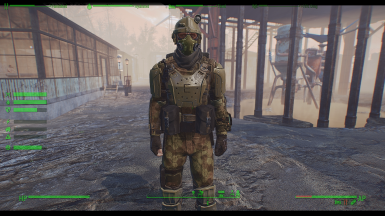 This is a retexture of the Enclave Officer's Uniform by PQuinn. 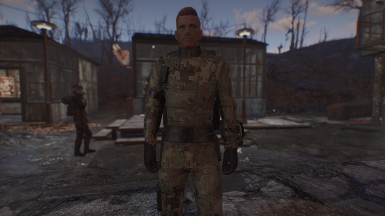 It adds camouflage, and the options for armor linings and ballistic weave, to make it the standard issue Combat Uniform of the Enclave forces. 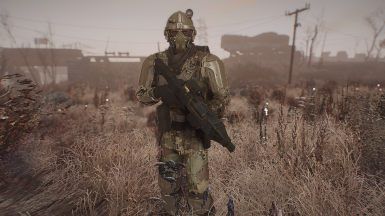 The original Enclave Officer's Uniform by PQuinn is required. 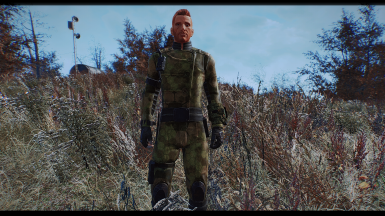 Install his mod first, then this one, and allow it to overwrite the files. Currently the Enclave Combat Uniform is available in the A-TACS FG, US4CES A-1, Digital, Geometric, and Hex patterns. 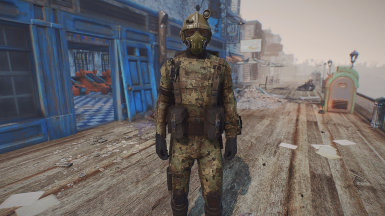 I plan to continue to add more camouflage patterns in the near future. 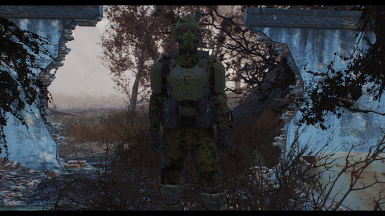 Added compatibility patch for FCOM. 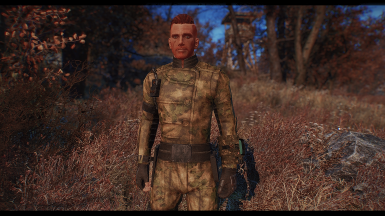 I highly recommend using the Nomex Flight Gloves Texture Replacer with this mod for better looking gloves. 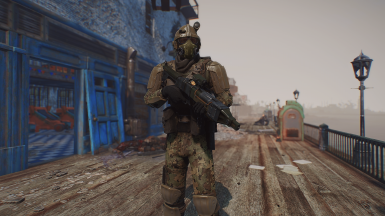 They come in several different colors, you can see the black version in my latest screenshots. 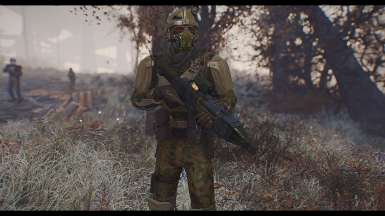 Screenshots were taken using Photo Realistic Commonwealth, and Natural and Atmospheric Commonwealth (with natural lighting setting). 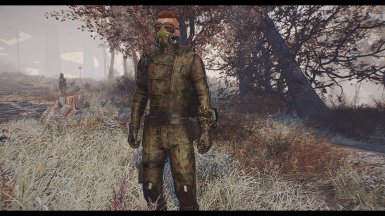 More vibrant ENBs, or vanilla lighting, may not look as intended. 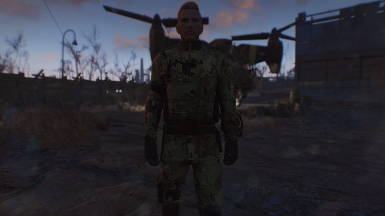 Please try one of the optional patterns if that applies to you.